It doesn't matter if you value a lightweight climbing bike or an aero speedster, drivetrain friction causes drag at any speed, and thus more watts if you want to go faster. And while it's harder to quantify frictional losses compared to say, aero data in the wind tunnel or grams on a scale, if you are looking for every ounce of high-performance and want to go as fast as possible with the least amount of wattage expenditure, ceramic bearings in bigger derailleur pulleys makes plenty of sense. Take a look at some of the GC leader's bikes, especially on important TT stages. Many will be running CeramicSpeed's Oversized Pulley Wheel System, sponsor correct or not, to go as fast as they can when it matters most. Now, you too can enjoy the benefits the pros count on when drivetrain friction isn't tolerated during your own rides and races. The remarkable cage and pulley systems are developed and hand assembled in Denmark. The products are all tested in the lab and with feedback from professional riders and mechanics to ensure it works great in the field and installs easily. 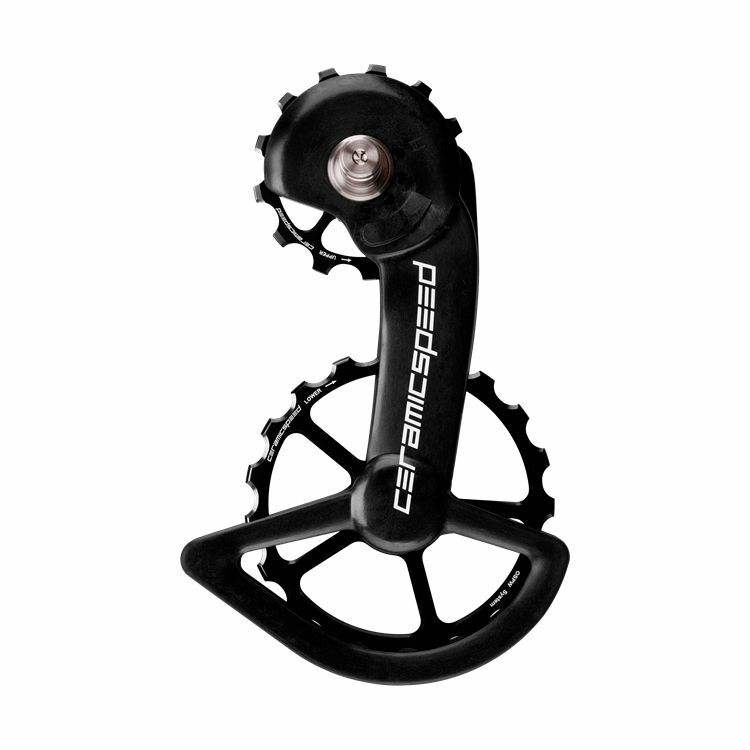 CeramicSpeed claims the OSPW System is the fastest pulley system in the world providing an energy savings of around 1. 6 watts for SRAM and 2. 4 watts for Shimano over their standard pulleys. As a bonus, CeramicSpeed's testing shows that these pulleys last anywhere from 3-5 times longer than stock. We have models for Shimano, Campagnolo, and SRAM eTap rear derailleurs. The OSPW System for SRAM features two 17-tooth aluminum pulley wheels with the accommodating cage made from nylon and carbon fiber and can fit cassettes up to 32 teeth. 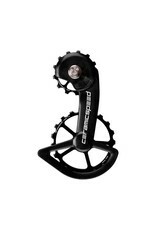 For Campy riders, the system uses a 13-tooth top and a 19-tooth bottom and provides a claimed 40% reduction in friction over the standard 11-tooth Campagnolo pulley wheels. It too can fit up to a 32-tooth cassette and is compatible with all Campagnolo electronic rear derailleur (EPS) and all mechanical rear derailleurs utilizing a mounting sleeve.